Alright, it looks like there’s enough interest so let’s have ourselves a little knitalong! I’ll get the list together and post it on my sidebar tonight. If you left me a comment on the last post then you’re in. If you didn’t, please leave me a comment here or on the previous post and I’ll get you added. Added later: Here’s a link to a PDF of the chart. I intentionally left out all WS rows (they’re the even ones). If you look at the pattern you’ll see a few different rows for the even rows. It should be pretty easy to figure out if you have the book. If you find any problems with the chart please let me know! Start Date Let’s make a start date of September 1st, although whenever is absolutely fine. If you’re itching to get started now — go for it! If you can’t start until November — that’s fine too! I’ll try to post updates once a week, probably over the weekends. If you want to be in the update feel free to email me, although I’ll try to visit all your blogs at least once a week (assuming we don’t get too big). Curious what it looks like? 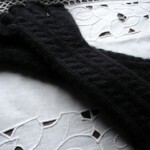 Kirsty left a comment that she’s 3 repeats in, and she posted a few pics on her blog. It’s beautiful. She reports it’s an easy knit. I can’t wait to see it blocked! If you leave a comment let me know what yarn you’ll be using. KSH is gorgeous but I’m sure some of you will be substituting. If we get together a big enough list of substitutions I’ll post that as well. I have leftover KSH in Toffee from my Birch. I’d love to swap with someone for another color so I don’t end up with two matching shawls. Cool, I shall knit along vicariously! A Rowan LACE pattern?! Not for this newbie (at least one that hasn’t been thoroughly tested among trusted bloggers). i just got my rowan mag in the mail with free kidsilk haze (enough for the shawl!) so i’m in!! this time lace will not conquer me, i will conquer it, and end up with a pretty shawl in the end!!!! I want to join! I’m still waiting for my Mag to come in the mail, hopefully it’ll get here soon. You are a doll, Jody! Thanks for charting the lace…it makes life SO much easier! I’d love to join. As you can guess from my blog name “knit-along…” I’ve been dieing to get into one! and I’m ready to move on to something in mohair. Please add me to the River-along. I am a huge fan of Sharon Miller, and can’t wait to get this stole started. can I join? I need to get some yarn, but if the start date isnt till Sept 1 then I have time right? Now I have to decide what color to do this in…. Any more room for another knitter? I recently joined Rowan’s International Membership, so I have my book and yarn (from the free gift) and am ready. Hey girl! Count me in on the River Along. I started before you announced the along, so I’m a little ahead of the game, but knowing me that won’t last! Thank goodness you charted this; I was going to totally skip it because of the lack of a chart! Jody – I want to play, too!! I’m using KSH in Blushes (583). It looks like a perfect project…I’m craving lace and KSH!! Me, too, please! I’m using KS Haze in Candy Girl. it has 240yds to 25gms…I’ve looked at both of them “in the flesh” – almost identical except KSH has the silk sheen to it…otherwise a good cheaper option. Add me to the Riveralong. I’ll be using the new Kidsilk Spray in Medici (blue). Count me in!!! I’m going to use the Kidsilk Haze I got with my membership for it. And thanks for providing a charted version…that’s really great of you and I will certainly be using that! If there’s still room, may I join in the river along? I am lacing my way toward esctasy. Hopefully. May I join in??? Just got the pattern yesterday. I’m working on Birch, but this is my next KSH project. May I join? I started last week, and I am now 3 repeats in, using KSH Lord. I was starting to wonder if anyone else was doing this stole! ok, count me in…I don’t know when, or how…or if I should put down my christmas knitting and start…oh I will knit it though, I will. Thank you so much for providing a copy of your chart. I started this a few days ago (after giving up on Birch!) and the knitting is going quite well for this not too experienced knitter. 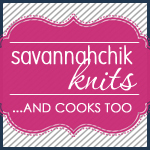 I came across your blog while looking for River Stole help – I’d like to join your knitalong – please add me- it’ll be my first knitalong. Hopefully I can keep up with everyone else (it’s really hard to squeeze in knitting time with 2 young kids). Anyhow, I’ll be using Kidsilk Night in Starry Night. Just waiting for my yarn to arrive, but can’t wait to start. Thanks for the chart! I want to do it too. I love Kid Silk Haze. What do I need to do to join? I have the Rowan Book and I’ll just have to order the yarn. Let me know what I need to do. I have never been in a Knit-Along before. Wow! Beautiful – and thanks to your chart, I can actually see what it’s supposed to look like now. Thanks for doing that. I’ve been thinking of making this ever since 38 arrived. Now all I need to do is decide which colour KSH tp make it in from the stash! I just started the first repeat, and I love this pattern. I’m using KSH in Pearl and its turning out great. Thanks so much for the chart, now I dont have to carry the magazine with me everywhere I go. Anyone have any needle suggestions? Thanks a lot for the chart … and yes, please count me in for the KAL. I started River last Thursday and am now almost finished. I’m doing it in KSH in Dewberry. I am really pleased with it. It’s so gossamer-like as to be almost ethereal. There are some photos on my blog of it at the almost half way stage. The close up photo shows the true colour; the other photo was somewhat spoilt by the flash. I’m going to post some more photos over the weekend once it’s finished. Can’t WAIT to let the wild ‘River’ take me on it’s journey. I have KSH in ‘Blushes’ which did TRY to be used for Birch but I started and ripped FOUR times so eventually, let it go….. Yes yes yes! Haven’t started yet, but am looking forward to casting on with the sinful Kidsilk. I have a feeling I’ll eventually be knitting two Rivers….my mother was drooling over it in the new mag. Wasn’t impressed with the rest (it was a bit disappointing) but she did love River! Ooops! I neglected to state the color of the KSH I’m using – Dewberry. I’ve ordered some KSH in Majestic as well…perhaps I’ll be inspired to work on a second one! Hello, please can I join? I’m intentional on using KS Night in moonlight, but if my experiences with Birch are anything to go by I will probably end up switching to something a bit more friendly. Can I join too? I got two balls of black KSH as this year’s membership gift and they are just crying out for River! Hope this goes better than Birch…..
I’m in too. Have this already stashed and ready to go as an Xmas present for someone. Oh Pleaaaase sign me in for my first Knit Along! i have my KSH in trance and am ready to roll. thanks jody for that chart…you’re an angel! as soon as the Rowan magazine came in, I started the River. I still had some pearl KSH left. I’m making it slightly wider; 5 stitches on each side. THANK you for the pdf…literally reading the instructions is not so easy. Currently I’m at row 23. I’d love to be in for the River KAL! Please add me to the list…..
Carina, I have to knit Rogue too! Too many projects!!! I’d love to knit River, but I can’t!!! RRRR!